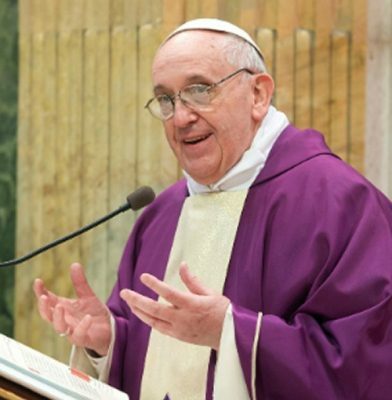 In a message published on Monday, Archbishop Eamon Martin noted that Pope Francis is inviting the faithful to observe the three pillars of the Lenten season: prayer, fasting and almsgiving. If we follow this journey, writes Pope Francis, “it is possible to rediscover the joy of God’s plan for creation and for each of us, which is to love him, our brothers and sisters, and the entire world, and to find in this love our true happiness”. Archbishop Martin has appealed to the faithful to “reflect during this Lenten season on how to grow closer to God by our daily actions, thoughts, words and to consider what sacrifice might be made to achieve this”. He encouraged Catholics to read the Pope’s message and support this year’s Trócaire Lenten campaign, which focuses on the charity’s work with communities in Guatemala, Lebanon and Uganda. To make it easier for Catholics to live Lent well, the Primate of All Ireland has launched a special web resource, and a Twitter and Instagram #LiveLent initiative, for Lent 2019, which begins today, Ash Wednesday, 6 March. The #LiveLent initiative will involve short daily suggestions shared on Twitter and Instagram based on the theme of the Holy Father’s Lenten message, including suggestions on fasting, prayer and almsgiving. Opportunities for fasting in daily life might be, for example, fasting from gossip, from negativity online, and giving up certain foods for Lent. Suggestions for charitable acts include donating to Trócaire and other charities; donating time by volunteering or helping out within a person’s own family, school or parish; and behaving in a charitable way towards those people meet. People are encouraged to go to the Sacrament of Reconciliation too. “Everyone is invited to take part using the hashtag #LiveLent and encouraged to share with their own followers how they are putting the themes of prayer, fasting and almsgiving into practice during Lent,” says the statement. helping someone who is sick, old or lonely. Today, Ash Wednesday, is a day of fast and abstinence, meaning Catholics should not eat meat and should just eat one meal and two ‘collations’ (small meals) with no food in between.